If you happen to fly into Fort Lauderdale and need to embark on a cruise getaway, then the Fort Lauderdale cruise ship port is an inviting place. Fort Lauderdale departures of round trip cruises to the Caribbean or the Bahamas are regularly featured at this Floridian site. Many families like taking the 7 night Caribbean cruises that regularly operate out of the facility. Originally called Lake Mabel, this port, also known as Port Everglades, was founded as a deep water harbor in 1927. The diverse maritime operations that take place at the cruise ship departure site has given the seaport the reputation as being the best cruise port in the world. Therefore, if you have not been on a Caribbean cruise before, this port might provide you with the best cruise ship and travel experience. Cruise Terminal 4 at the facility now features 50 new check-in counters and new elevators and escalators. Cruise guests can enjoy eco-friendly lighting and air conditioning. 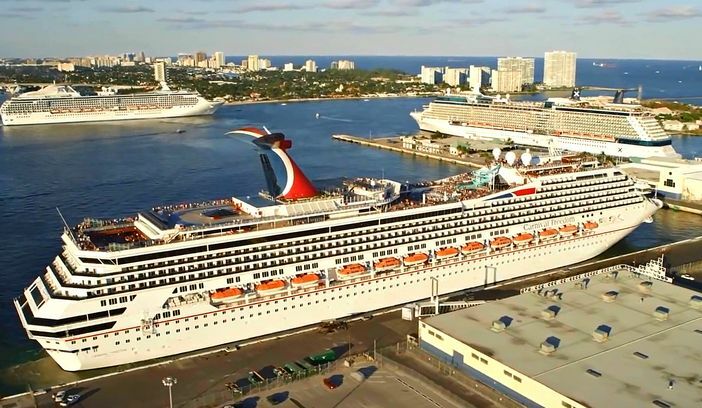 The Fort Lauderdale cruise ship port is home to such major cruise lines as Carnival, Cunard, Princess Cruises, Royal Caribbean International or Holland America Line. Before traveling by ship, travelers can book tours to the Everglades or a day trip to Key West from the site as well.